Yet Facebook is taking a huge reputational risk in aggressively pushing the technology at a time when its data-mining practices are under heightened scrutiny in the United States and Europe. Already, more than a dozen privacy and consumer groups, and at least a few officials, argue that the company’s use of facial recognition has violated people’s privacy by not obtaining appropriate user consent. The complaints add to the barrage of criticism facing the Silicon Valley giant over its handling of users’ personal details. Several American government agencies are currently investigating Facebook’s response to the harvesting of its users’ data by Cambridge Analytica, a political consulting firm. Rochelle Nadhiri, a Facebook spokeswoman, said its system analyzes faces in users’ photos to check whether they match with those who have their facial recognition setting turned on. If the system cannot find a match, she said, it does not identify the unknown face and immediately deletes the facial data. Separately, privacy and consumer groups lodged a complaint with the Federal Trade Commission in April saying Facebook added facial recognition services, like the feature to help identify impersonators, without obtaining prior consent from people before turning it on. The groups argued that Facebook violated a 2011 consent decree that prohibits it from deceptive privacy practices. 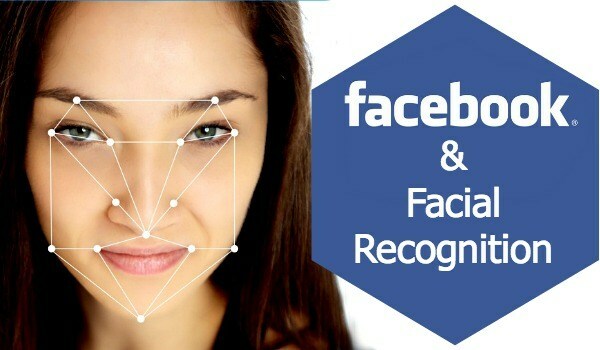 Critics said Facebook took an early lead in consumer facial recognition services partly by turning on the technology as the default option for users. In 2010, it introduced a photo-labeling feature called Tag Suggestions that used face-matching software to suggest the names of people in users’ photos. People could turn it off. But privacy experts said Facebook had neither obtained users’ opt-in consent for the technology nor explicitly informed them that the company could benefit from scanning their photos. Ms. Nadhiri said Facebook had consulted with privacy experts on its photo-tagging feature. It also recently notified users in the United States who had the site’s face-identification services turned on that they could turn them off, she said. “We have always respected people’s choices,” she said. But Facebook may only be getting started with its facial recognition services. The social network has applied for various patents, many of them still under consideration, which show how it could use the technology to track its online users in the real world. One patent application, published last November, described a system that could detect consumers within stores and match those shoppers’ faces with their social networking profiles. Then it could analyze the characteristics of their friends, and other details, using the information to determine a “trust level” for each shopper. Consumers deemed “trustworthy” could be eligible for special treatment, like automatic access to merchandise in locked display cases, the document said. Another Facebook patent filing described how cameras near checkout counters could capture shoppers’ faces, match them with their social networking profiles and then send purchase confirmation messages to their phones. In their F.T.C. complaint, privacy groups — led by the Electronic Privacy Information Center, a nonprofit research institution — said the patent filings showed how Facebook could make money from users’ faces. A previous EPIC complaint about Facebook helped precipitate a consent decree requiring the company to give users more control over their personal details. “Facebook’s patent applications attest to the company’s primary commercial purposes in expanding its biometric data collection and the pervasive uses of facial recognition technology that it envisions for the near future,” the current complaint said. Ms. Nadhiri said that Facebook often sought patents for technology it never put into effect and that patent filings were not an indication of the company’s plans. But legal filings in the class-action suit hint at the technology’s importance to Facebook’s business. The case was brought by Illinois consumers who said that Facebook collected and stored their facial data without their explicit, prior consent — in violation, they claim, of a state biometric privacy law.